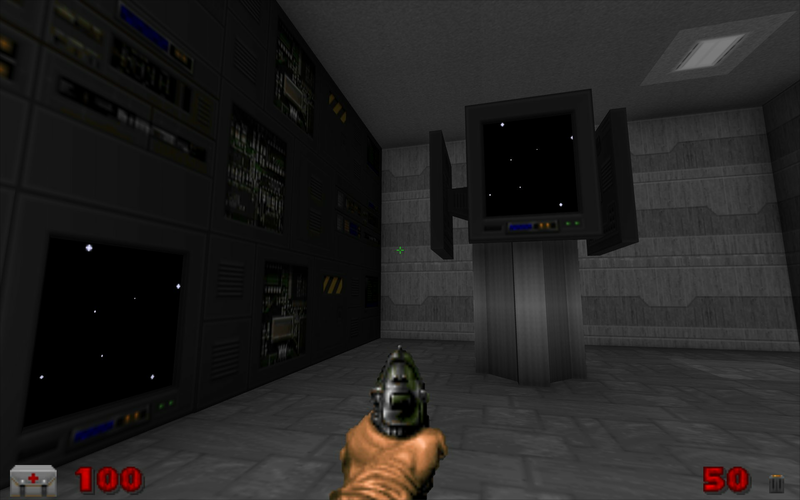 I was poking around in some of my Quake resources folders and I stumbled across a nice little monitor model with a star field effect. It had quite a neat animation on the screen, so I decided to convert it for GZDoom use. I re-did the skin basically from scratch so that it ties in with Doom stuff and tweaked the model quite a bit too (geometry and UV). 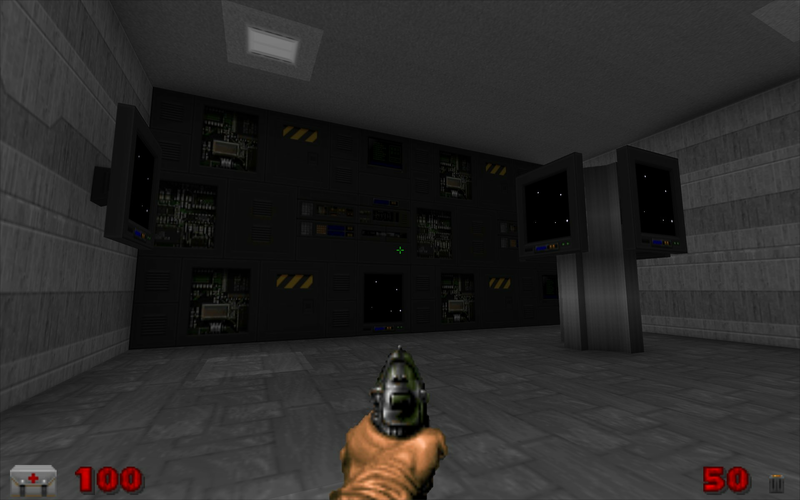 It near as damnit fits into a 64x64 hole (modeldef is scaled with doom pixel ratios in mind). I hadn't really intended it to be used like that. Placing it like this was more just to confirm its size. I have no idea of the source of the original model. It was just sloshing around in a big model-dump folder that I have. It is set up with a basic DECORATE script but anyone using it might want to give it collision properties or something. Yeah, I thought that too. I don't know if that was the original intent or if it is meant to look like an actual star field or something. Either way works IMO. I just liked the way that, with the animation being done via the model frames, it looked nice and smooth. So, that's now fixed and I have included a brightmap in the folder so that the stars on the monitor can appear nice and bright and the rest of the model now matches the surroundings more accurately. Same DL link as before.